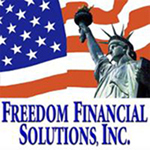 FFSI has aligned itself with experts in cost reduction and employee benefits to provide innovative financial and business services. We are so confident in the work we do and services we provide, we spend our time and money providing these assessments and proposals at no cost or obligation to the business. Our performance based compensation is contingent solely on results - if we don't recover payments and/or reduce costs, there is no cost for our services. The client knows exactly what they are getting prior to incurring ANY cost or obligation. We also offer services to increase and enhance employee benefits at no net cost to the employer or employees, including a Reimbursement Account Program to reduce medical expenses and enhance retirement income, and a special MERP Plan to increase employee benefits.